The kamishimo is the full dress of samurai who was born in the Edo era. Because it is a relatively recent dress, is seen well as costumes of ritual and traditional arts today. The kamishimo is a combination of hakama and things like the best (amice shawl, kataginu), we will wear it on top of the short-sleeved kimono (kimono). Shoulder width is the widely sleeveless, and do not match the previous features. There is a image to walk in a trailing skirt of hakama by the impact of historical play, but kamishimo like this is called a “long kamishimo” is the dress of the samurai. It has to wear a skirt to around ankle in general, this place is called the “semi-kamishimo”.Half Kamishimo was casual wear for Samurai and also formal wear for public. The origin of Kamishimo is not sure, however, it is considered that sleeve cut version of jacket “Hitatare” after Muromachi Mid Era is the origin. “Hitatare” is a type of jacket which opens at the front established during Muromachi Era. 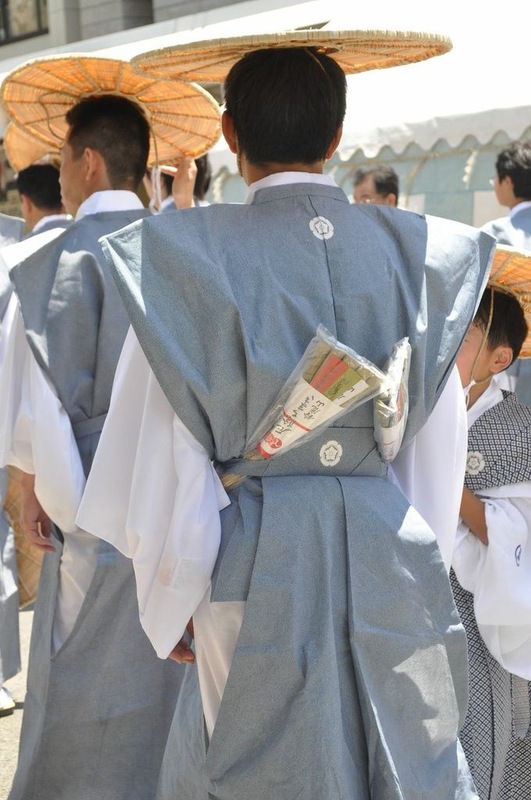 After Maiji Era, there were many laws passed, and there was an order to avoid wearing Hitatare in public, and thus males formal wear changed to Haori-Hakama.